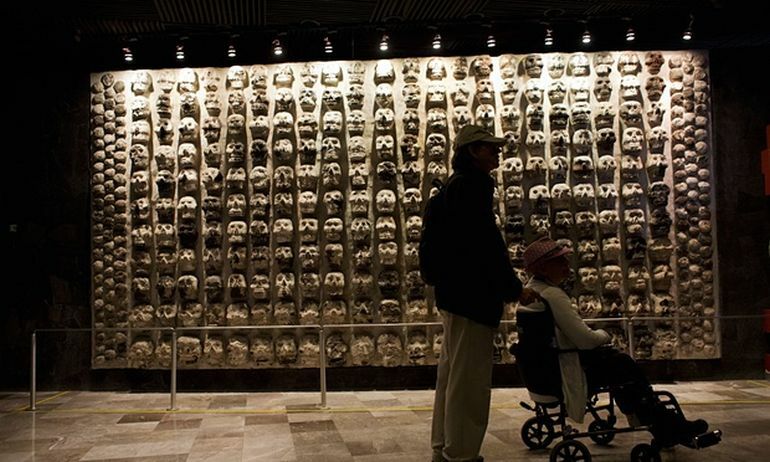 Archaeologists have recently unearthed a section of what seems to be largest ceremonial skull rack, built by the Aztecs over 500 years ago. 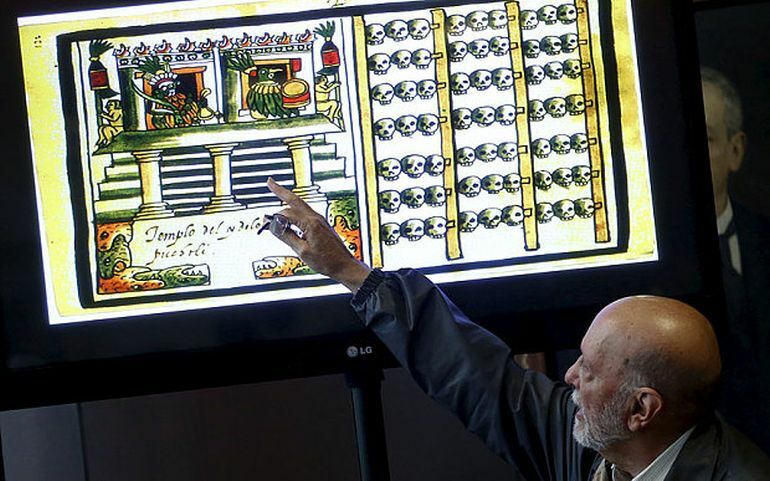 Found among the ruins of Tenochtitlan’s Templo Mayor, in present day Mexico City, the “tzompantli” dates back to sometime between 1485 and 1502. 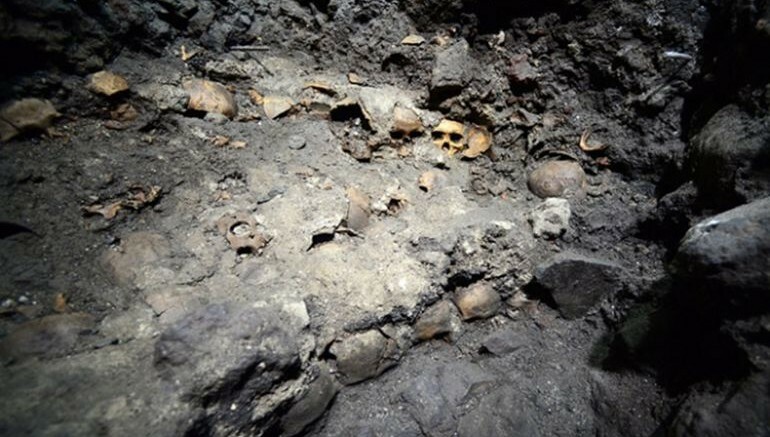 According to the team, the skulls, retrieved from the site, mostly belonged to young men, but also some women and children, and were meant to instill both fear and awe in the common people. So far we have found 35 skulls, but there must be many more in underlying layers. As we continue to dig the number is going to rise a lot. 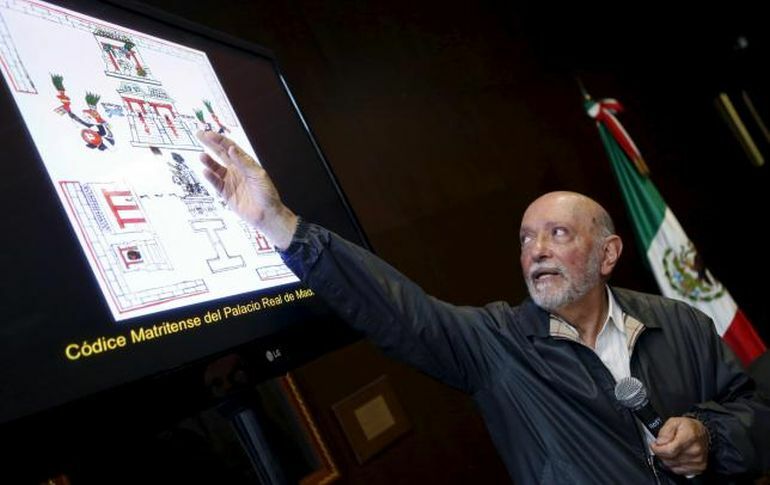 We believe we have found the Huey Tzompantli. 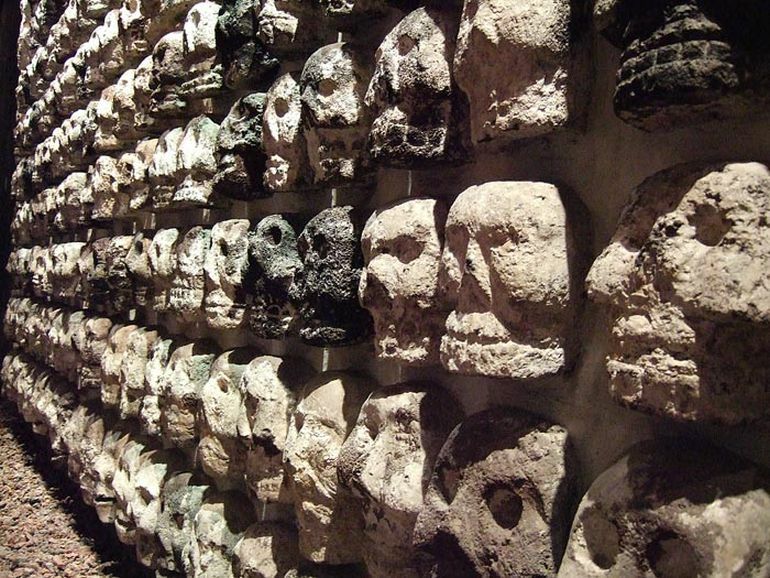 Many of these skulls could be enemies of the Aztecs who were captured, killed and beheaded in a show of might. 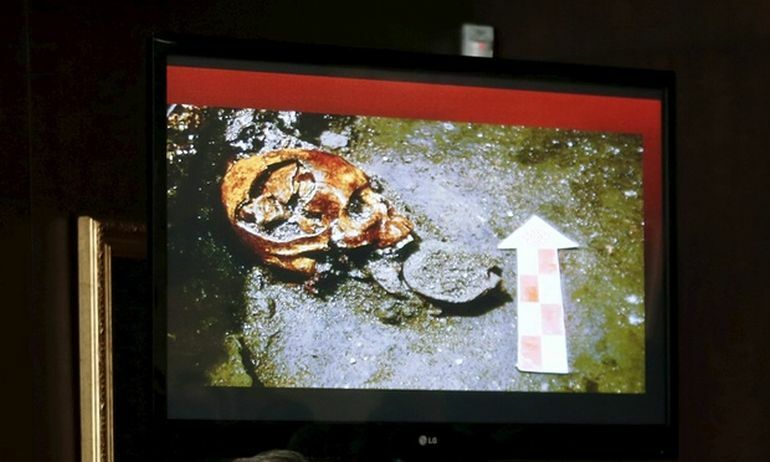 I do not personally know of other instances of literal skulls becoming architectural material to be mortared together to make a structure… They’ve been looking for the big one for some time, and this one does seem much bigger than the already excavated one,” Gillespie wrote. 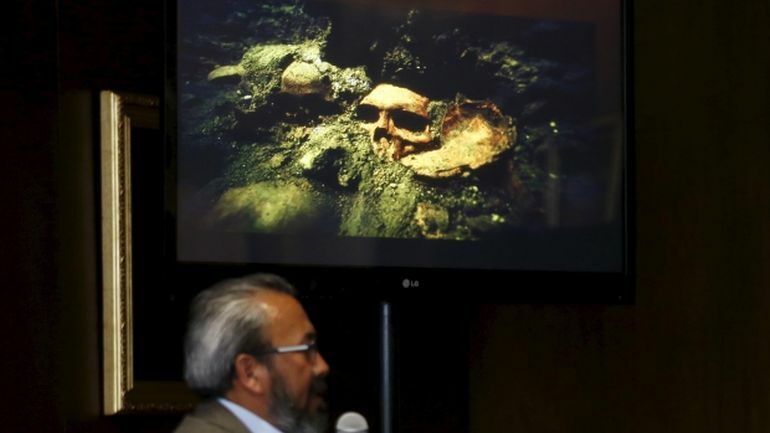 “This find both confirms long-held suspicions about the sacrificial landscape of the ceremonial precinct, that there must have been a much bigger tzompantli to curate the many heads of sacrificial victims.